90s Arcade Racer is a high-speed racing game inspired by arcade classics such as Daytona, Indy 500 and Super GT. Through clever art direction, 90AR evokes the look and feel of days by-gone with vivid blue skies and over-the-top tracks, cars and arcade-style physics. 90AR brings it all together with with modern game design focused on fun and instant accessibility and HD visuals. Horacio Tempin, Lieutenant Inspector from the Montevideo Police Department, must confront the main suspect of a brutal murder, and get the truth out of him. It's a full-fledged duel of minds, between a hard-nosed investigator and real cold blooded adversary. Help Tempin to interrogate the shrewd and powerful Mario Valenti. By cleverly choosing the right questions to get the most revealing answers, and crack the case. 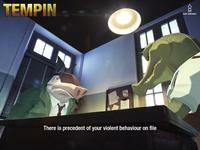 Tempin is a tale of murder, betrayal and hard choices. There are no simple answers, because there are no simple questions. In the sequel to Dejobaan's award-winning AaaaaAAaaaAAAaaAAAAaAAAAA!! !, music creates the world. Futurist Azumi Pentak BASE jumps through Boston Sky, collecting data for a digital Noah's Ark she calls the "Ugly Baby." Her optics are programmed to allow her to see sound, causing the world to change and dance to her soundtrack. And yours. Let's not forget your music, already. Dodge your favorite drum 'n' bass track or gently float through that trance album. "Ugly Baby" takes your MP3 tracks library and creates floating cities for you to explore. I could yammer on further, but I've run out of space. 1001 Spikes, th classic-inspired 2D masacore platformer. Discover the lost treasures of Ukampa in South America as Aban Hawkins goes to look for his estranged father, world-famous archeaologist, Jim Hawkins. Aban's father mysteriously disappeared while exploring the ruins. Before his disappearance, the elder Hawkins entrusted his daughter, Tina with a map to the location of the ruins but with a grave warning that death awaits around every corner. 18 Cadence is an iPad storymaking game that lets participants explore the history of a fictional house from 1900 to the year 2000, dragging and combining fragments of story text to create their own narrative out of the raw material of a century of living. Like magnetic fridge poetry for narrative, fingers push around sentences and shape individual events into meaningful progressions. Readers can share the stories they make with other people, or browse an archive of those made by past readers. 18 Cadence invites readers to play with the atoms of a story, and consider the malleability of a history. 500 Years is an episodic space opera that is in the late stages of development. It will be available for iPads and Android tablets. The game is an adventure where you explore different star systems and meet the inhabitants, some friendly, and some not so friendly. 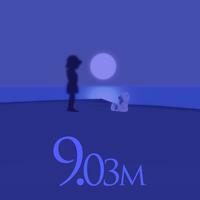 6180 the moon is a platformer game with a unique mechanic. It offers a fresh, unseen game play style by connecting the top and bottom of the screen. This allows in a mechanic with delightfully long jumps and no fear of "slipping" to death. In addition to the unique gameplay, 6180 the moon delivers a unique storyline. The Sun has gone. The Moon sets off on a journey to find the Sun. Along the journey will be hazardous courses and deep realizations. 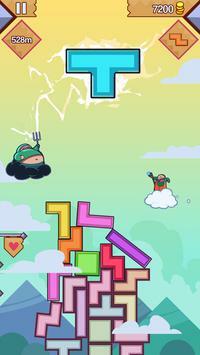 This game was co-created by South Korea's Indie Game Studios, Turtle Cream and PokPoong Games. The fantastic music was provided by Merry Go Sound. Upgrade and unlock new magical abilities to improve your building skills. Complete missions to earn bigger and better foundations. Earn coins with your towers and buy new outfits and wands with unique magical abilities! During Hanabusa's travels, she meets a white fox who turns out to be a servant of the mountain god. Hanabusa receives a special sword passed down from her mother, which gives her the ability to see the true forms of spirits to help slay them. Shortly after, a spirit claiming to be Hanabusa's long-lost father, Hidetada, breaks her sword and leaves Hanabusa powerless and confused. 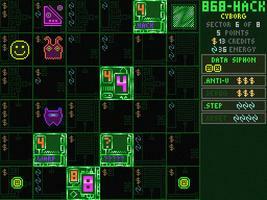 Descend into the cyber world of >Dev/Null, where a rookie mistake leads to a system-wide calamity. Investigate and fight back against the damage in a zero gravity 360° environment with complete movement freedom. Beware, for the enemy is highly intelligent, and you will find yourself caught up in fierce, gut-wrenching arena battles, fighting for your life and the fate of your network. Move along through the cramped tunnels with multiple weapons, tools, and power-ups, and to the sound of a thumping dynamic musical score. -Multiple weapons! Powerups! Tools AND MORE! This unique game features whimsical single and multiplayer tactical battles for up to four players at once, set in a mystical realm where they aren't content with only four measly seasons. 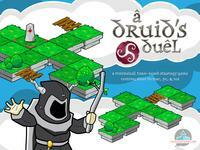 Take control of a motley circle of mischievous druids as you duel your way across the vast Realm of Six Seasons. Your strategic wits will be put to the test as you face shape-shifting druids on an ever-changing game board that forces you to adapt each and every turn. Land ownership is the name of the game, and for each parcel you own or lose, your strength and your options either wax or wane. Like Nature herself, A Druid's Duel is ever-changing and fraught with exciting challenges. A retro style action game about a young man, his mounted archery skills and his mystical journey into the mountains. 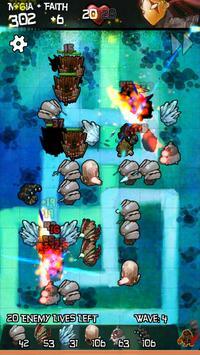 A tile-based dungeon crawler with Minesweeper elements. Set in a fantasy world with a dab of H.P. Lovecraft mythology. Click on tiles to reveal treasure or trouble, all while trying to reach your goal with a limited number of moves. Coming to Android, iOS, PC & Mac in early 2014. Brought to you by the same guy who made Serious Sam: Kamikaze Attack!, WarGames: WOPR, and Lame Castle, which may or may not have been based on a fake game featured in a PSP commercial. Art by Oryx (www.oryxdesignlab.com). Additional art by Dante Wonman. A Vision Quest lets you use your mobile device's camera to solve platformer puzzles. You find edges in the outside world to create bridges & ramps, and to block enemies. This game brings the outside world into the your gaming world. It is the story of two Space Armadillos in love, Ardee and Arnette, who must travel through worlds of Jungle, Fire, Space, etc, in order to find each other and find their way back home. 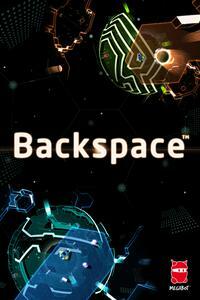 The game will be released for Android in Spring 2014, with the iOS version shortly afterwards. Battle spacefaring dinosaurs, meet cybernetically augmented cats, a scientific genius, his niece and her dog Ranger, and start your internship with the Proton Riders, humankind's elite group of galactic protectors! "Ace Ferrara And The Dino Menace" is a space combat sim in the tradition of X-Wing/Wing Commander, with touchscreen-friendly 2D controls, and a heartfelt appreciation for 80s sci-fi cartoons. The game is coming to iOS in early 2014, with Android/PC/Mac ports planned later in the year. 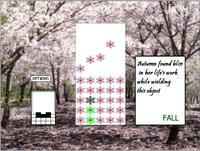 A short interactive story about love, depression and the corporation. - Full-fledged campaign and stand-alone extra levels: for your enjoyment and to inspire greater creations! 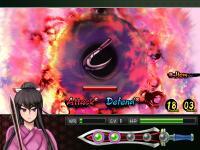 Become Death, the grim reaper, and dive through a mythological multiverse to reclaim Death's stolen scythe. Precision control over jump angles gives you the power to make your own path through each afterlife. Rely on reflexes and rapid angle changes or approach levels as a puzzle of angles to be solved with foresight - choose your own path as you hunt for the scythe and recapture escaped souls. Whether it's curiosity and exploration, risk-taking, or the speed of a psychedelic rollercoaster, each world is designed to emphasize a different gameplay theme. I recreated the experience I had gaming with college roommates, passing the controller around on different levels that matched each person's individual style. Afterdeath's 26-track soundtrack was composed to bring the personality of each world to life and to synchronize the player with the rhythm of each level. I hope you like it! Inspired by games such as Myst and ICO, Against the Wall is a puzzle platformer with a focus on exploration and atmosphere. The game takes place in an unusual world: an infinite wall of square white bricks. Lost and alone, the player character must journey up through the ruins of the civilization they once called home, and uncover the mystery of what happened to the people there. Airship Q is a sandbox action RPG, where players solve mysteries by controlling an airship in the open sky as a character who has been transformed into a cat. Airship Q is one of the first Japanese sandbox action games delivered by an independent game developer. While everything is rapidly changing, the character quickly runs, jumps, controls an airship, digs, builds, fights, and dies. All actions the character takes will create a unique world you could never have imagined. Inspired by games like Blade Runner and Pathologic, Alaska is an Immersive Sim/First Person Adventure Game set in a living world. You have been sent to a remote space station to investigate a murder, you must explore the station and investigate its occupants. Build a case against a suspect, but did you prove his guilt or have you made a terrible mistake? Alaska utilises my own engine (the Agency Engine) to provide a fully dynamic deferred lighting engine. It is the first engine to my knowledge to use more than 2 shadow casting lights on every surface in the game. Amazing Frog? is about having fun in a ragdoll physics sandbox environment. Do not set out looking for a point to the game we haven't found one yet :0) but we can't stop ourselves adding new features. There has been lots of videos made on youTube of hours of people playing it, really worth checking out. We released the first version in March 2013 to the developer release of OUYA, AF and OUYA have come a long way since then. We are about to release v1.3 [ Oct2013 ] which will be a huge step forward with fighting vs mode and zombies. We are taking on feedback as we go, as Amazing Frog? gathers a following. We always intended for the game to grow as we released updates with significant enhancements and are already working on the December release of v1.4. Fayju is a two man team - Gaz Bushell and Hal Jackson. And we freakin love making games. Amnesia: A Machine for Pigs pushes gaming horror into a new direction, trading in jump-scares and gore for an intensely psychological descent into the darkest reaches of the human psyche. It has already established itself as an innovative and powerful title that extends The Chinese Room's reputation as masters of atmosphere and narrative. Polygon described it as "a terrifying journey into madness, industrialisation and the darkest secrets of the soul"; Rock, Paper, Shotgun called it "tense, and disturbing… a marvelous, revolting, disturbing sequel to Dark Descent." and Edge warned, "It will test your nerves to breaking point." Amnesia: A Machine for Pigs sees The Chinese Room mature from indie start-up to established UK studio. Uncompromising in their vision, unapologetically innovative in approach, the studio have once again produced a work of haunting beauty. Unashamedly literary, immersed in the language, music and art of Victoriana and lush with both period detail and the stunningly realised architecture of The Machine and the protagonist's insanity, the world of Amnesia: A Machine for Pigs is core to the player's experience. This is driven by world-class audio design and a hugely praised soundtrack by renowned game composer Jessica Curry, who fuses beauty and terror into a macabre mix of industrial noise and orchestral splendor. The audio design of the game has been praised by critics across the board as one of the stand-out works of game audio this year: technically outstanding, hugely imaginative and with a scope and breadth that puts other titles to shame. Stripped-back mechanics focus all of the player's attention on immersion and emotion, offering the most complex, nuanced and intimate portrayal of fear and madness since Silent Hill 2. Among the Sleep is a first person horror adventure, in which you play a two year old child. After being put to bed one evening, mysterious things start to happen. In the borderland between dream and reality, you will have to search for comfort and safety. lunching escape pods before the annihilation of the planet. Apotheon is a 2D platform action-rpg set on the rich stage of ancient Greek mythology. Along with a large single player campaign in a massive open world Mount Olympus, Apotheon include's online multiplayer with deathmatch and team based game modes. 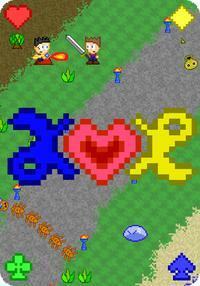 A game inspired by classic Magic Carpet, with modern graphics and features. You play as a sorcerer, exploring mysterious worlds, changing them, discovering ancient secrets, creating new spells, fighting creatures and other mages, building and destroying as you please. Army and Strategy: The Crusades takes place on the historical field of conflict between Crusaders and Islam during the Middle Ages. As the ruler of a kingdom during this dark time, you must survive and expand your territory. Rule your kingdom wisely and found an empire to form your own version of history (with some whimsy and satire). Master a unique, distinctive combat system to defeat your enemies and one day seize the golden throne. Dive merrily into virtual history with a diverse cast of characters. Assault Android Cactus is a twin stick shooter for one to four players with an emphasis on high pressure and stylish action. Junior Constable Cactus responded to a stranded space freighter only to discover it under siege by its malfunctioning robot workers. Cut off from the outside and in over her head, Cactus and the androids she recruits along the way must battle through the crippled Genki Star to reach the Nexus Core of the ship and put things right before it's too late. Fight for your life in this gorgeous rail shooter that fuses horizontal shmup and Third Person Shooter gameplay. Command a powerful mechanized weapon armed with both long and short range weaponry, slashing and shooting your way through each encounter. 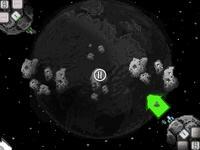 Asteroid Smash is a 2-4 player local multiplayer game. Where each player controls 1 corner of the ipad. The goal is to destroy the other player's mining colonies by mining asteroid ore and buying attack ships that you fling out at your enemies. 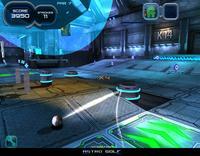 Astro Golf is an exciting new way to play mini golf. Episode One is set in an amazing space ship that is waiting for you to explore the complexity and intensity of galactic golfing glory. Premiering on iOS, then Android and PC/Mac, is a very user-friendly mini golf game that grows and evolves as you play through each level. At start, any player can learn to make it in the hole. We consistently add new gameplay mechanics and layers of depth once you have mastered the basic skills keeping the player challenged, entertained and coming back for more. Asunder: Earthbound is a short and dark cinematic adventure game set in a fictional 1930's universe aboard a passenger airplane. 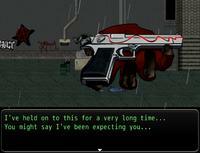 Strange things occur as the story unfolds which require the player to act quickly if he wants to survive. The player needs to discover his place in the world, picking up clues in the environment and figuring out the best course of action based on his observations and in-game events. The game will be publicly released soon for the Oculus Rift virtual reality headset as well as for regular desktop monitors. The game introduces new mechanics for next generation virtual reality games, enabling players to communicate with in-game characters using natural head-gestures; such as nodding and shaking their heads. By combining players' direction of gaze with procedural animations, the player can additionally control his virtual body to perform actions. Compared to mouse-controlled aiming and interaction, the gaze-control allows players to perform actions more intuitively in virtual reality games. SCIENTISTS! 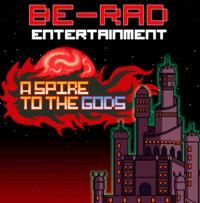 Journey through quantum space and fuse the elements in this retro- inspired arcade game for iOS and Android! The game is ATOMIC FUSION. Your Goal: Create all the known elements of the periodic table by absorbing and manipulating matter, antimatter, plasma waves, and electrons. support your journey into the void. But beware! The boundaries of Quantum Space is unknown…there is sure to be mysterious matter that is yet to be discovered. Atomic Ninjas is a colorful and funny multiplayer action game, in which you control super-powered ninjas in frantic online matches against other players. However, you are unable to directly kill other players. Instead, you must outsmart and outflank your opponents and kill them using various environmental hazards and obstacles, such as lava pits, laser beams, traps, moving platforms, falling crates, etc. Each one of the seven arenas is like a playfield with infinite number of possibilities to eliminate the competition. Inspired from the two amazing Super Games (Super Hexagon and Super Crate Box). The internet of the 20th and 21st centuries, its simple network housing the entirety of human knowledge, evolves as humanity enters the 22nd century. With the advent of quantum computing, it has now become a collection of vast, individual networks designed to serve the needs off humanity. constrained only by the limits of human imagination, and the aesthetics of these worlds can vary as wildly as the rules that govern them. Originally created to allow people to experience the Roman Coliseum and the Gladiatorial games at its peak during the 1st and 2nd centuries, the Construct now known as Arena City, has grown to be one of the largest of Auxnet. Home to countless battle arenas and gauntlets, millions of users flock to the arenas everyday to test their skills againts other humans and A.Is in combat. You'll have to play to find out how many of them made their way into Axiom Verge..
BADLAND is an award-winning atmospheric side-scrolling action adventure taking place in a gorgeous forest. Although the forest looks like it is from some beautiful fairytale, there seems to be something terribly wrong. The player controls one of the forest's inhabitants to discover what is going on. BADLAND takes you to an immersive single player experience with over sixty unique levels combined with an on-device multiplayer for up to four players. BADLAND has been developed fully independently by Frogmind - a two-man indie studio. It has been downloaded by more than 7 million players since its launch on April 4th, 2013.